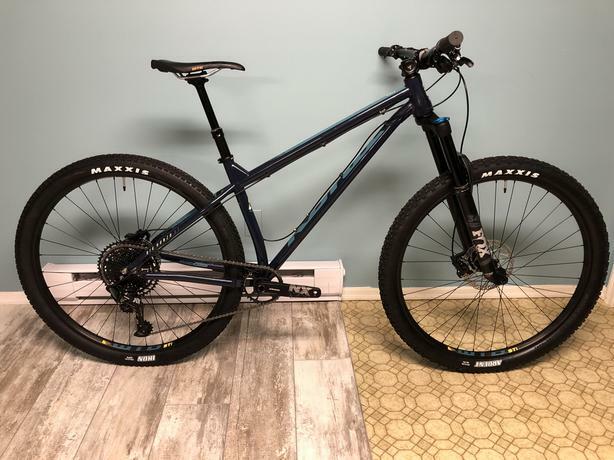  Log In needed $2,350 · 2019 Kona Big Honzo ST 29er, Fox 34, Eagle, Brand New! 2019 Kona Big Honzo ST, size medium, custom build 29er with 2019 Fox Rhythm 34 150mm fork, 2019 SRAM Eagle 1x12 speed drivetrain, Shimano Deore disc brakes, WTB i29 tubeless wheelset, TranzX dropper post, Race Face Turbine 35 stem and WTB SL8 Pro saddle. The bike is brand new, never ridden. Located in Duncan.